In those tough times when our pet is not feeling well, they cannot speak to tell us how they feel, where it hurts or when it truly started. We understand that it is at times like this that quick answers are very important both for your pet's health and your peace of mind. 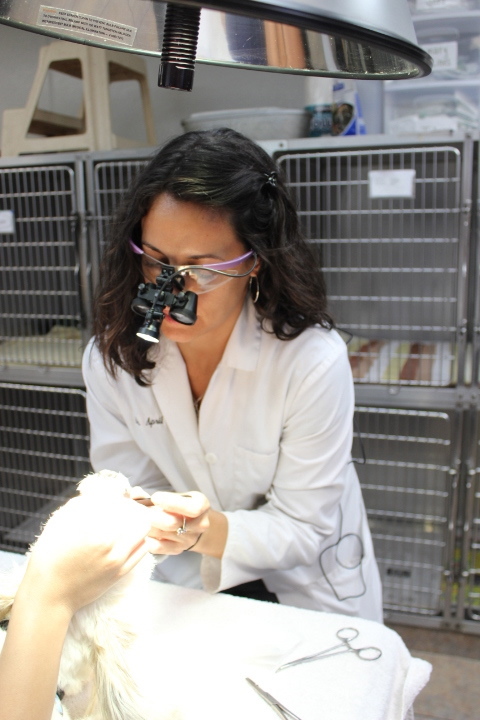 At Villa Park Animal Clinic, our doctors give thorough examinations that determine the necessary tests and diagnostics needed for the most effective treatment plan. Diagnostic equipment like digital radiography and ultrasound allow us to look below the surface of your pet and see what is happening on the inside. In addition, sending samples of your pet's blood and urine to the lab for analyzing gives us a detailed report of how your pet's body is functioning. Timely and accurate diagnostics can be life-saving and that is our goal. Remember that our diagnostic equipment plays a powerful role in preventative healthcare too. Our doctors recommend routine lab work throughout all the stages of your pets' lives and prior to anesthesia. This establishes baseline values that aids in future diagnostics. Call us today to learn more about the importance of routine and symptomatic veterinary diagnostics. VPAC offers onsite laboratory as well as reference laboratory diagnostic services.